Jacqueline was an amazing choice for our wedding! We loved our engagement photos and our wedding pictures. Even when things veered from schedule (as can happen with weddings), Jacqueline was calm, helpful, professional, and warm. We love the moments she caught and will forever appreciate her work! I do not have enough wonderFul things to say about Jacqueline Vega Photography!! From the first day I met Jackie I knew that she had a gift and a passion for photography and I right away knew she was one the to capture mine and my husbands wedding day!! I highly recommend and brag about her anytime someone brings up they need a photographer! My husband and I had our engagement and wedding pictures done with Jackie and we couldn't be happier. She is a pleasure to work with and the photos came out amazing! We can't thank her enough for capturing our special moments in such a beautiful way! Jacqueline Vega Photography did an absolutely stunning job with my engagement and wedding photos. I am so blown away by the unique and beautiful way she was able to capture one of the most important moments of my life. Jacqueline is very friendly and very responsive to questions. She is a true professional and a joy to work with. For anyone looking for a reasonably priced, incredibly talented wedding or engagement photographer look no further! Jacqueline did an amazing job on our photos! We got engaged on a Saturday and Jacqueline fit us in on THAT Thursday for our pics. She was so patient, and didn't take offense when I asked her for specific poses (she had so many great poses already but was totally open to suggestions! which I loved!) We will definitely be using her for our wedding in 2019! I already cant wait to see those pictures! I have now had 2 sessions with Jacqueline and she is just a breeze to work with. She is so sweet and patient, as well as flexible. I am so grateful that she not only took these gorgeous pictures of me carrying our Rainbow baby, but that she put so much love and work into editing them. She is by far worth every single penny and I will continue to come back to her when I need new family moments captured. Jacqueline was awesome!! Even when we got lost on our way to our location - which, of course, made us a little late!! But, that didn't phase her at all!! She was so sweet and accommodating and she worked so well with my crazy self, my goofy hubby, and our brand new puppy!! We are absolutely blown away with the pictures that came back!! From the more technical aspects like the gorgeous lighting and colors to the emotional aspects like the love she was able to capture, we are loving the photos and the memories she was able to create!! She's a very talented photographer - and we would love to work with her again!!! Jacqueline was just amazing! Absolutely love how passionate she is about her job and making sure I get the best maternity shoot! Would definitely recommend her to all my family and friends. Our family have had the pleasure of working with Jackie twice now. She photographed us back in 2015, and again this past Thanksgiving weekend for another family session. Jackie is so effortless and easy to work with, and has a knack for capturing real emotion, in-the-moment happiness. Her photos are not always perfect smiles, or cheesy posing, but raw life and love. For those of you considering Jackie for a private session, she is worth every single penny. When I planned our family session my first priority was getting the right photographer. Tangible items may come and go, but photos will last a lifetime. Do yourself a favor and book Jackie for any life event, you won't be disappointed. Jacqueline met us at the hospital for our fresh 48 session and she was incredibly professional, patient and kind during our session. I was very impressed and am very glad we chose Jacqueline Vega Photography to document the first day of our baby boys life. We had a wonderful experience with Jacqueline! She was prompt, easy to work with, and so talented. We are thrilled with the photos from our newborn photo shoot. Highly recommend! My friends and I found Jackie online while we were planning a trip to New Mexico from Oklahoma. She made it so easy to organize our shoot and kept us updated until we met up with her. She was awesome with our 3 year olds, knowledgeable, and she knows how to find the perfect lighting. Not only is she sweet and patient, she shoots wonderful photos. So thankful we found her to document our adventure! We had the best experience with Jacqueline Vega Photography! All of our photos turned out amazing, she really worked hard to capture everything even better than we could have imagined! She was extremely easy to work with from start to finish and answered all of our questions. 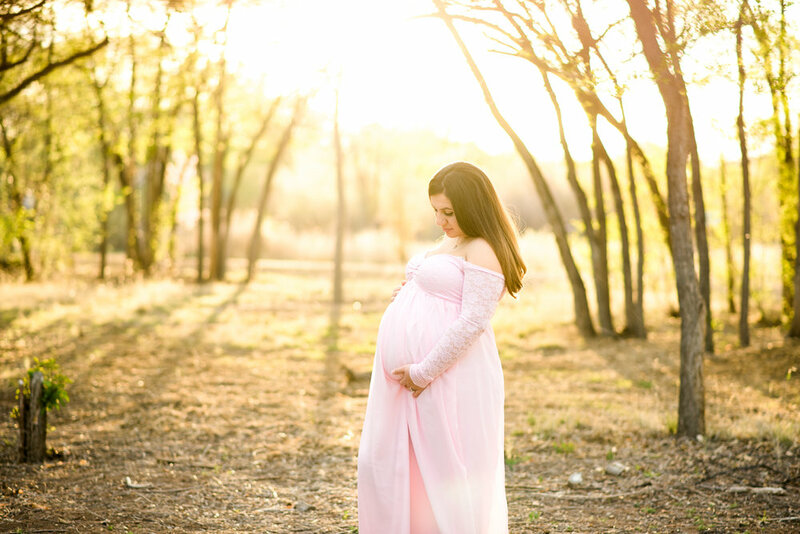 I really liked the fact that she had maternity dresses for her clients to use for the photos that was such a nice touch! I can't wait to work with Jacqueline in the future!!! Jackie is such a wonderful person, with a sweet and calming soul! My fiancé and I love working with her! She made taking photos fun and easy, she captured a very special moment for us. After looking online for what seemed like weeks, we decided to call Jackie and booked a shoot with her. Best decision ever!! She also had dresses for me to chose from. When she sent us our gallery, both Angelo (My Fiancé) were in tears! I'm still crying over them, typing this out. Thank you Jackie so very much for the beautiful photos! We are so in love! You will forever be our family go-to photographer! Jackie is so talented, sweet and professional. If you want amazing photos, then she is your lady! 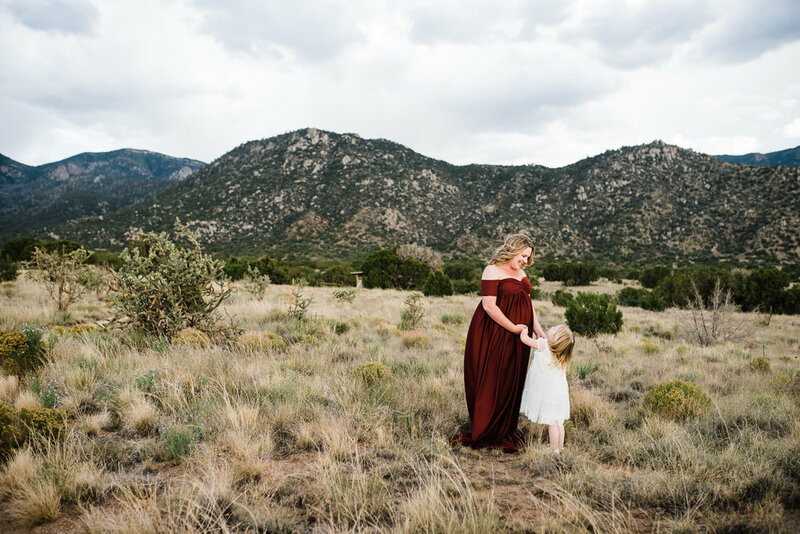 She did our newborn photos as well as family pictures in the bosque, and both times were beautiful. I will love those photos forever! So in love with our photographs. Jacqueline was a pleasure to work with and we have some beautiful photographs thanks to her! She was able to work with us soon after contacting her, she kept in touch, and made us comfortable. She's amazing! Our engagement photos were everything that we wanted plus more! 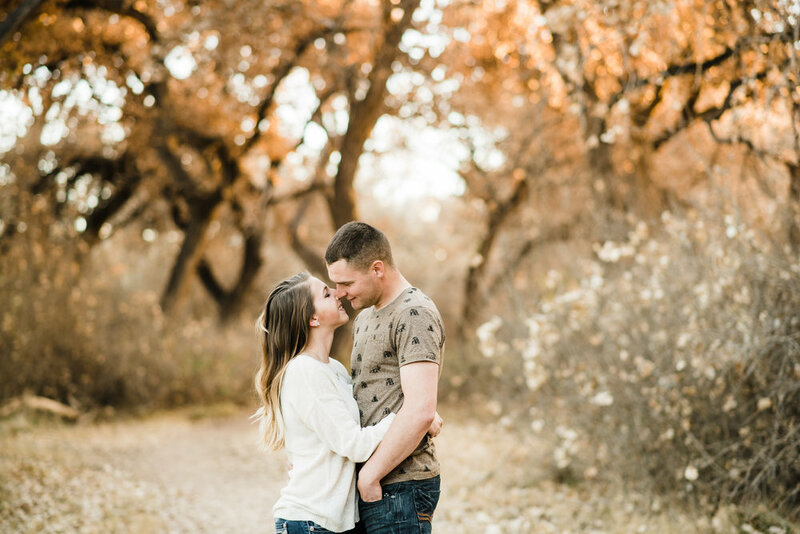 Can't wait for her to capture our big day!! Jacqueline did an amazing job photographing my newborn baby and family. We have a 2 year old and 4 year old and she was so patient with all of the kids. I highly recommend her! 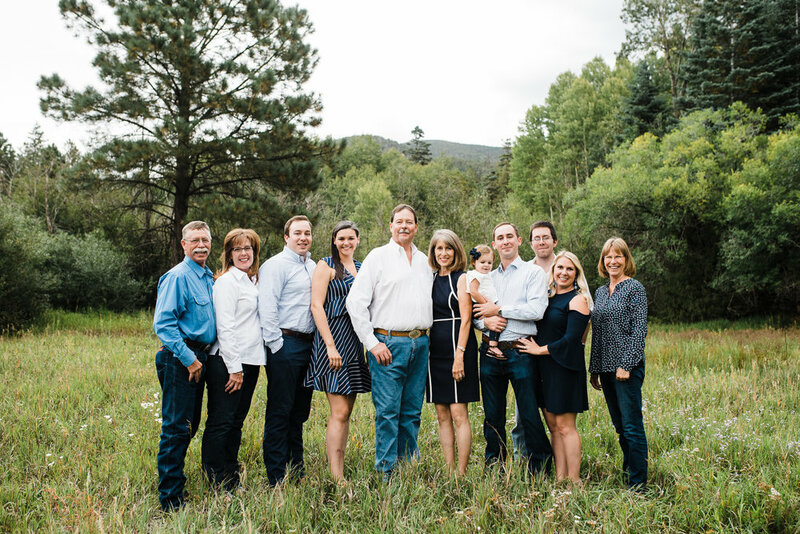 Our family went on vacation to Santa, Fe and as a gift to my mother-in-law we decided to get family photos. Jacqueline was nothing short of amazing! Since we weren't from the area she helped us choose a location and was fantastic working with our huge bunch (10 + a baby) while trying to beat the rain. The final product was stunning and the experience will be cherished by our family forever! Jackie Is Literally SOOOOO AMAZING!!!! She Did My Pregnancy Photos... I Was So Sick My Pregnancy So I Had To Cancel On Her A Couple Times... She Got Them Done For Me The Day Before I Had My Baby... She Was So Patient And Understanding! My Photos Turned Out GORGEOUS!!! My Son Is 6 Months Old And I Still Look At Them!!! All Her Photo Shoots Are Stunning! Such A Gift She Has!! Thank You So Much Jackie!!! I Truly Appreciate You!!! Cant Wait For The Next Photo Shoot!! Jackie has been such an awesome addition to our wedding! From our engagement pictures to our wedding night, she was always so professional. She is easy to work with and her photos come out spectacular! Jacqueline is a true star! She took on the challenging task of a multiple family photo with the patience of a true professional. We received our photos today and couldn't be more pleased with her work. She will now be our "go to" for photos!